Some time ago I saw this video on YouTube. 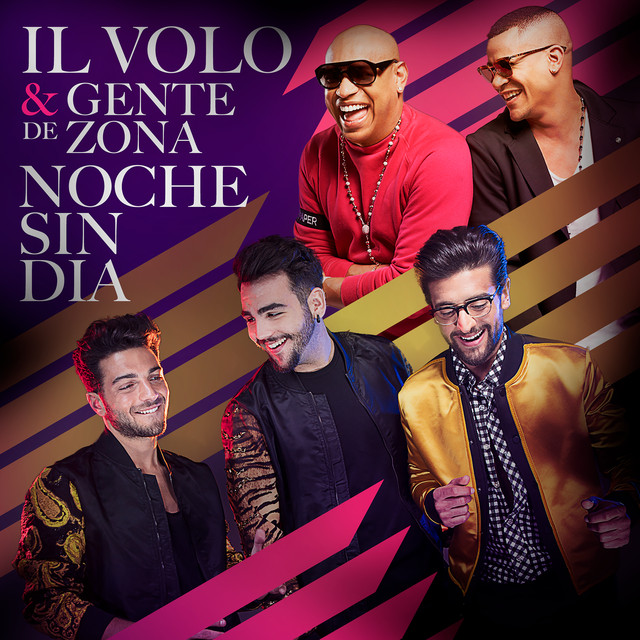 It is a review on the way to sing and on the voices of PIERO, IGNAZIO and GIANLUCA. He is a Brazilian YouTuber and singing teacher, MARCIO GUERRA, and it is wonderful to hear his words and see, from his facial expressions, how much he loves IL VOLO. To understand well, the meaning of the things that he says, you have to read the translation and then look at the video several times, to notice from his face, how much he is pleased to listen to our boys. Hi Friends, I’m Marcio Guerra, welcome to another video of this channel. How are you? I feel good. Today Marcio speaks of IL VOLO. I read their story a little, they met in a talent program. A program like The Voice, American Idol, XFactor, but in an Italian program. And it is this kind of emotion that these guys have caused in people. And see how things are, it was through a television program, on a vocal competition, that they, they met and created IL VOLO. I think they had three names, the first was THE TRIO, then IL TRIO and finally IL VOLO. I think their strength is this: the union with the incredible Italian popular song, together with the largest singing school, the Italian school. Of course we can not deny that today we have so many didactic segments on the voice, so many techniques, so many methods, on the voice, all over the world, and many work well. But the cradle of the voice, the cradle of the song sung, has always been Italy. I ask you for attention now, and I ask you to observe the lack of effort that these guys make to sing, and you will see, that there is no effort in breathing, there is no effort in the way of singing notes, there is no effort to make the treble, everything is relaxed, everything is breathed properly, take air properly, all things that I have already said in other videos, note the correct form of singing this kind of music, see the location of each vowel. This is nothing but a practical lesson of singing, of him who, every day, he practices singing exercises, and incorporates techniques. He will sing like that. I want to do a parallel now, between the lyrical singing school and the classical song school. I remember, I’ve always heard the same thing, and maybe you’ve heard it too – “If you study classical music, you can do any kind of music”. I think the same thing about the traditional lyrical singing school as well. If you can do the vocalizations, if you can study and learn in the school of opera singing, I believe that then, you can sing anything, you just have to adapt. So in this my channel, I wanted to pay homage to these extraordinary voices !!! Thank you so much for watching this video: Marcio. Every time I see this video, I feel the same emotions as Marcio, while describing the way of singing by Piero, Ignazio and Gianluca. Do you have the same effect? Thanks daniela for the translation. I could listen to those videos all day. Yes, Joan, it’s very nice to see that others like our guys so much. You’re welcome and I loved that part too Mary! Thanks Jane, I have to tell you that I felt very proud when he said those words. Pat, thanks again for the work you do. Allene, it is true, when we read positive things about our boys, we are all very proud of them, as if they were our children. Well stated! As I read the comment, I remember that the first thing I was fascinated of, when the first time ever I saw the boys sing, was the way it looked so easy. I actually sat there waiting for them to catch a deep breath between words, as you always see the others do…but they didn’t! It looked so easy, like breathing, the same as they still do when they sing now. It’s awesome!!! You’re right, Astrid, they make everything look so simple … they perform a high pitch, and they do not even seem to make an effort. It’s all so sweet watching them sing. 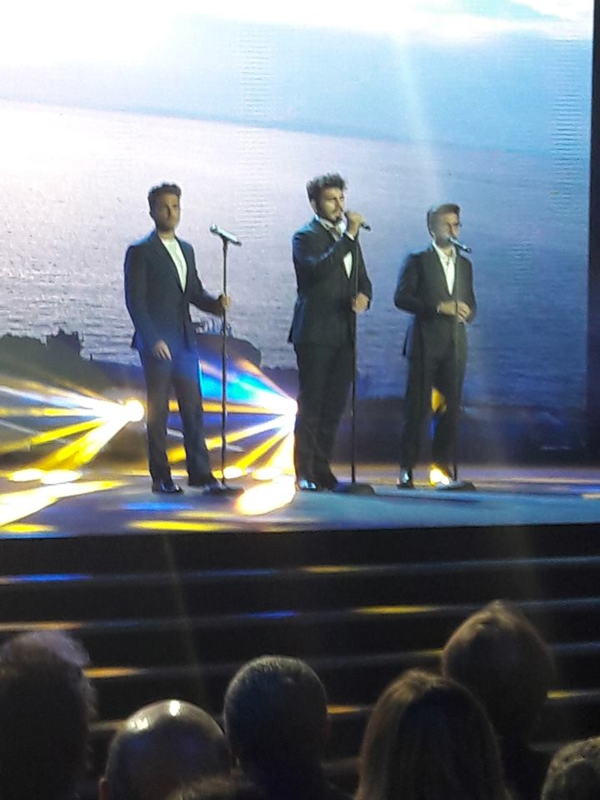 Watching Il Volo is pure pleasure because they are so spot on with their performance. They take the audience into experiencing the beauty of the music with them. I can listen and watch them over and over again and still they take my breath away. I agree with you Jeanette, sometimes I see a classic ballet and think it could be easy, because it is performed in such a light way that it seems accessible to everyone, for IL VOLO it’s the same thing, it’s a real pleasure to listen to them and see them singing, in concerts, they pass from a moment of play and chat to a busy song, they are fantastic. You know, Jeannette, when I saw this video, I immediately thought of Myron. I remember that in one of his reviews, he said something about the perfection of the vowels sung by the boys and the absence of fatigue and always perfect breathing.